What Tools Do Electricians Need to Buy Before Getting a Job? OVERWHELMED BY THE COST OF THE TOOLS NEEDED TO BE A COMMERCIAL ELECTRICIAN? YOU'RE NOT ALONE. LEARN WHAT TOOLS YOU REALLY NEED, AND SAVE MONEY. For many years, electricians—as well as other skilled persons in other trades, such as carpentry and automotive repair—have found themselves in a catch-22. They need a job, but can’t afford the tools for the job. Tools are expensive. Just ask anyone in a blue-collar trade. Even automotive technicians who typically make 17 to 20 dollars an hour routinely own $25,000 to $50,000 in tools. 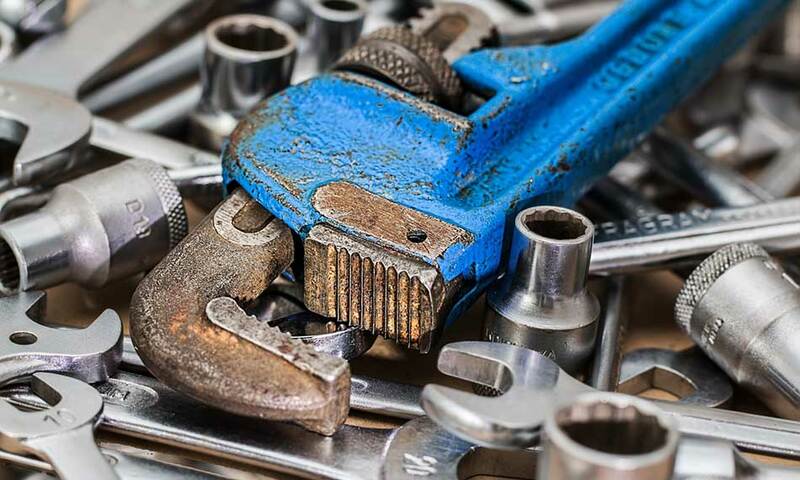 For electricians who can’t afford to skimp given the nature of their work, and who know they will be expected by their employer to bring their own tools to the jobsite, this imposes a serious hardship. But with a bit of research, careful budgeting, and a willingness to compromise—you don’t need that $300 set of Klein Tools wrenches, you can make do with an inexpensive set on Amazon—you can reduce your costs while still fulfilling hiring requirements for a job as an electrician. Looking at what duties you need to fulfill as an electrician can help you identify which tools you absolutely need. Install, test, and repair wiring, electrical fixtures, and equipment. Diagnose and repair malfunctioning systems and machinery. Fix circuit breakers and transformers. Inspect components and equipment for hazards and defects. Connect wires and install ground leads for equipment. Cut components to size and mount/install. Trenching for laying conduit wires. Obviously, this doesn’t account for every situation, or even the bulk of what you may do on the worksite. But you need to ensure that you have the tools necessary to fulfill these needs. What are the must-have hand tools and power tools you’ll need for a job as an electrician? First, here are the basic hand tools you’ll likely need. In addition, there are some basic power tools that you’ll need in your tool bag, such as a power drill and a set of bits, and a couple power saws (cut-off, hole, portable band saw, and reciprocating or spiral). Also, you’ll need a tool belt and a tool bag, but don’t go overboard buying fancy products. As long as you can transport your tools effectively, you’re good to go. It’s easy to feel overwhelmed by the sheer number of tools, but first focus on the basics. You can likely find a good deal on a basic electrician tool set that contains many basic tools of decent build quality. Keep an eye out for deals in retail shops and on Amazon. It may also be worth your while to keep an eye on Craigslist and the Facebook Marketplace for collections of used hand tools. Speaking of social media, take the opportunity to look for discussion groups catering to electricians. You may be able to gain greater insight into what tools are essential. Lastly, if you’re considering a job where employees are unionized, the local union likely has a mandatory journeyman’s tool list, with all other tools being provided on-site. For example, check here for Northern California’s IBEW Local 340 tool list. As you can see, that list is much shorter than ours, but also includes tools we omitted—a Sta-Kon tool, awl, and Cat 5 strippers. With some research and proper preparation—and maybe a couple Home Depot gift cards from friends and family—you’ll find that you can afford to buy the tools you need to work as a commercial electrician. And if you’re still in the process of deciding if a career as an electrician is right for you, I-TAP can help. To learn more, contact us by calling (916) 332-3332, or by sending us a message using our contact form below.